S3 AND BAIRAVAA FOLLOW THE SAME PATH! 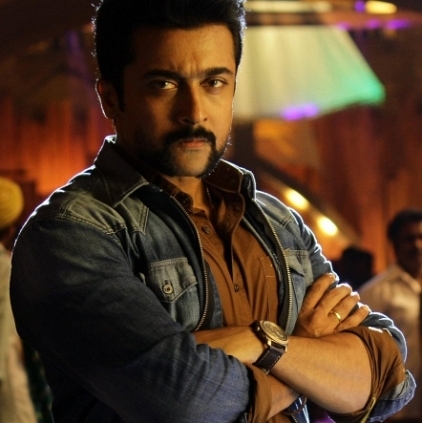 The audio of Suriya's S3 in Telugu (S3 - Yamudu3) was planned to be a big event, but eventually, now the team has decided to keep it a low-key affair, with the songs being directly released through online by midnight 12AM (11th December). It is said that, instead of the audio launch, the makers are planning to have a pre-release event either on December 17th or on 18th. We will have to wait for the official word from the producers. The worldwide release of S3 has been planned for December 23rd. Meanwhile, it is speculated that Vijay's Bairavaa will also be a soft audio launch with the songs being planned to be released directly through online platform. People looking for online information on Singam 3, Suriya, Yamudu 3 will find this news story useful.